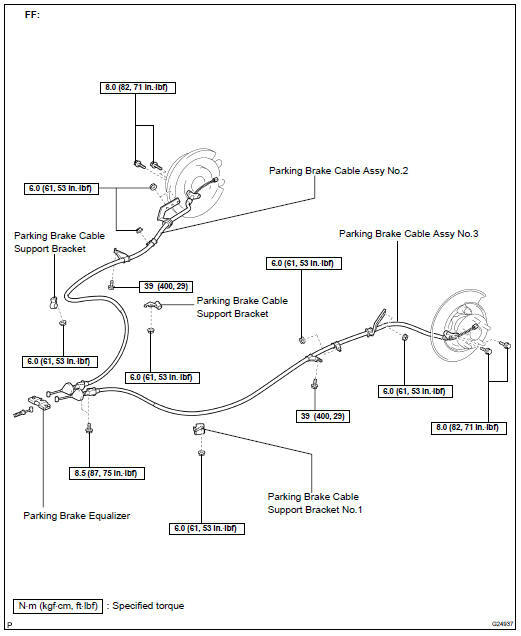 HINT: For parking brake cable No.2, employ the same procedure to the No.3 side. 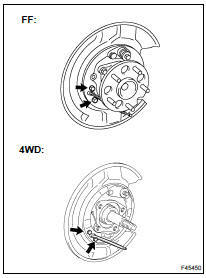 HINT: Do not disconnect the flexible hose from the rear brake caliper assy LH. (a) Remove the 2 bolts and separate the parking brake cable assy No.3 from the backing plate. 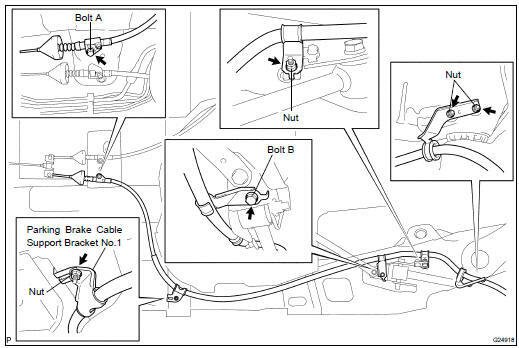 (b) Remove the 4 nuts and 2 bolts and separate the parking brake cable assy No.3 from the body. 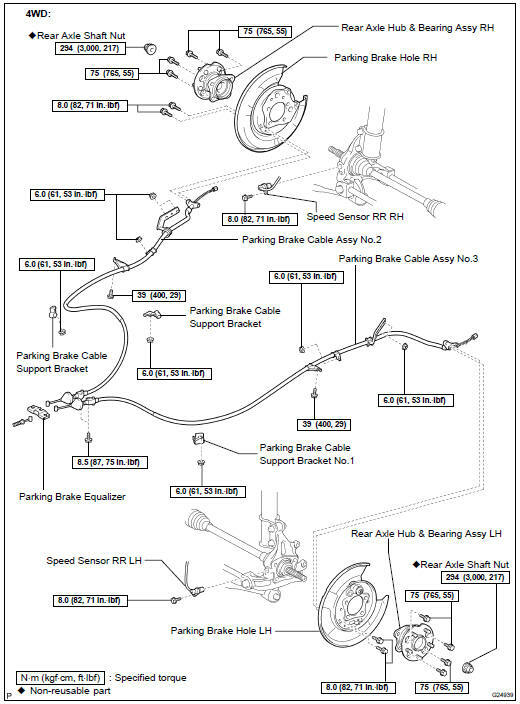 (c) Separate the parking brake cable assy No.3 from the equalizer and remove the parking brake cable assy No.3. (d) Remove the parking brake cable support bracket No.1 from the parking brake cable assy No.3. (a) Attach the parking brake cable support bracket No.1 to the parking brake cable assy No.3. (b) Connect the parking brake cable assy No.3 to the equalizer and slide boot stopper of No.1 cable should be inserted into groove of T-Metal fitting. (c) Install the 4 nuts, 2 bolts and parking brake cable assy No.3 to the body. (d) Connect the parking brake cable assy No.3 to the backing plate with the 2 bolts.